Are you aware that smart devices have moved beyond your smart phone? Modern kitchens have gone up the standards and are now full of smart appliances hence smart kitchens. They have smart fridges with giant touchscreens that display your calendar, allow you to play music and even order groceries when you’re running low. Embedded with cameras, they can take images of the food in stock and allow you to access the feed from your smartphone. You can then easily check whether you need to pick up something from the grocery store on your way home. Technology has brought about various disruptive technologies that transform the way we do work and live. 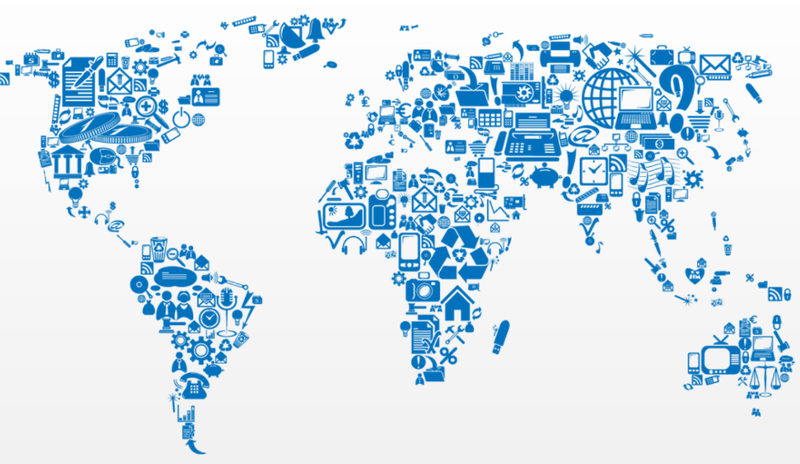 One such technology is an emerging technology – the Internet of Things (IoT). If you don’t know the definition, Internet of Things is an advancement that aims to interconnect both computing and non-computing objects together, including cups and plates via the Internet, allowing them to send and receive data. Picture it this way: your alarm waking you up and sending a signal to your coffee maker to start brewing coffee. Long live smart devices! Maybe you didn’t believe when I mentioned that a cup could be smart. Designed and developed for use today, smart mugs provide you with the pleasure to enjoy your tea, coffee or any other desired beverage at a temperature of your choice. The mugs have the technology to make your drink remain at your preferred temperature for about four hours or even all day if connected to a charger. Other features include 12 fluid ounces, sleek design with a comfortable grip, temperature controlled, leak-proof, Bluetooth enabled to connect to Android and iOS, works with any beverage, and slim and compacted charging adapter so you can drink your beverage while at the same time charging the mug. Use this link to find further information on the smart mug technology. What a perfect solution for people who make a nice cup of coffee only to forget about it, and by the time they remember, it’s already cold. People who travel a lot and would love to enjoy a cup of coffee on the commute will also adore this mug. The world of technology is fast advancing. Smart mugs are part of the development that is facilitating the Internet of Things technology by designing and developing technology dependent kitchen devices. This coffee mug can be controlled manually by rotating a control gadget on the bottom of the cup, or with a mobile app available for iOS and Android. Technology has also provided us with mobile apps. Gone are the days when accessing software applications meant that you had to be in the office premises, or even at home. Armed with your smart phone or any other mobile smart device, you get progressively connect to other devices and objects both at home and in the office through mobile apps. You can, therefore, access data and information, work, and manage stuff remotely without geographical limitations. Technology will continually provide us with advanced smart gadgets and only time will tell the direction of this coasting. Fresh food can’t be kept in an open room for long periods of time. Like in supermarkets that use refrigerated displays to store and exhibit the food they sell. 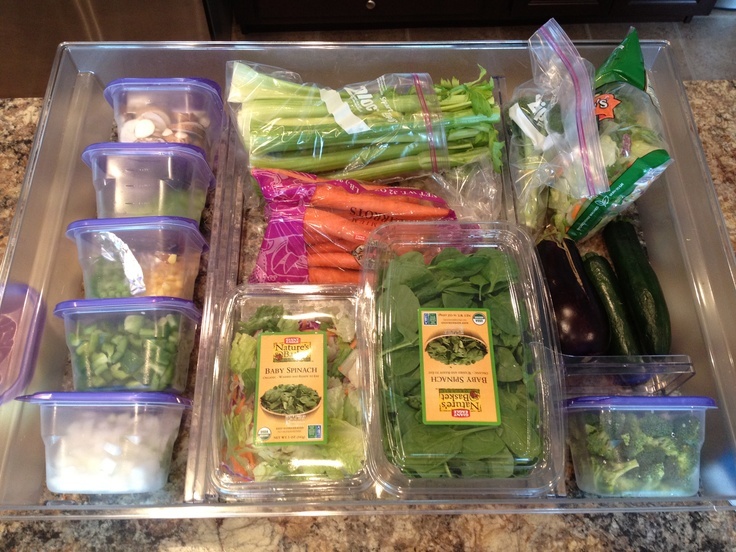 How to store food in a refrigerator properly arranged neatly can make food more durable. Not all foods can be stored in the refrigerator. Do not put any food into the refrigerator, because if wrong place, the fridge can smell odor. You should also pay attention to how to store food accordingly to the refrigerator. Rinse thoroughly before putting in the refrigerator, then put in the bag. Label or mark on each bag that is inserted. Cook and use the meat in order of purchase date. Cook the meat that is stored longer first to the new. Store all kinds of meat, chicken, fish, and other frozen food in the freezer section. Store meat and poultry meat in a special place of meat. Meat and poultry should be used for a maximum period of two days. If long-term storage is required, wrap the meat using aluminum foil and freeze. For Bacon and ham should be covered with a cloth dipped in vinegar water. Fish usually give off a pretty strong odor. Therefore try not to keep the fish side by side with other foods, in order to prevent food from the smell of fish. The fish should be immediately inserted into the freezer. We recommend first place in a closed container. Refrigerators usually already provide a special place of vegetables at the bottom. Usually a special drawer. You can store vegetable foods on the bottom shelf of the refrigerator. Wash and dry the vegetables first to be stored in the refrigerator. Use a piece of paper to wrap the vegetables before, then wrap them in a plastic clip so the vegetables do not rot quickly and break down. As much as possible, do not put green vegetables too close to the tomatoes because the green vegetables can emit ethylene gas that makes tomatoes rotten faster. So give the distance between the two. Do not be too long store vegetables in the refrigerator or even more than 3 days. This is done so that the quality of vegetables can remain good and awake. Especially for vegetables sprouts, before put in the refrigerator, wash it first then soak in water. Store the beetroot, carrots, and turnips by cutting the green top and keeping it in a dry bag. To store vegetable foods such as cucumber, Japanese cucumbers, paprika (capsicum) and pumpkin, preferably place them in plastic bags or special bags in the refrigerator, they should always be dry. Leafy vegetables need special attention. Remove the leaves and let them dry. When it looks dry, store it in a plastic bag or special bag in the refrigerator. For corn storage, you should save the corn which is also still there fibers to prevent the corn kernels become dry quickly. Some vegetables are categorized as ‘heavy breathers’ vegetables, such as spinach vegetables. This type of vegetable heavy breathers can damage the vegetables around them if stored close together. Store unwashed mushrooms in plastic paper bags. If you do not want to use peas immediately, keep the peas in the plastic container. Store food in the form of fruit in the box to store vegetables under the refrigerator. When it’s time to get out of the house to spend some time with friends over a good meal, you want to find a restaurant that meets your needs. There’s nothing worse than having your time away ruined by shoddy service or undercooked food. Let’s take a look at the must-have traits that any potential restaurant should have before you decide to dine there. The first trait you want to look for is cleanliness. If the restaurant looks like it hasn’t been swept or the tables washed down in ages, then it’s time to pick another restaurant. Realize that uncleanly conditions can lead to health hazards. You don’t want to risk your health by eating food that is prepared in a restaurant that is not cleaned on a regular basis. The next trait you want to look for is the variety of food that is available for purchase. This holds especially true if you’re planning on going out with multiple people. You want to go to a place that has food for everyone to enjoy. Picking restaurants that only have a limited selection can leave some of your dinner guests not satisfied with their food. Yes, service is definitely on our list. Whether it’s for pizza delivery Kirkwood MO or a five-star restaurant in Paris, the service should be the same. When a restaurant has good service, it shows they care about their customers. Another thing to note is that employees who offer spectacular service are those who particularly enjoy their jobs. When there is a restaurant full of employees who love that they work there, it always rewards the customers with good service. Price is a trait that we’re going to be talking about briefly as it’s an important trait to consider. However, we do want to state that it’s important to gauge the price off the various factors of the restaurant. Some of these factors include the location, types of foods offered, dress requirements, and so forth. While you can’t go to a black-tie required restaurant and expect to get a cheap meal, you don’t want to be extravagantly overcharged either. Affordable prices are a must-have of any quality restaurant you would consider eating at. The last trait we’re going to talk about is uniqueness. There is an abundance of restaurants out there for people to enjoy eating at. 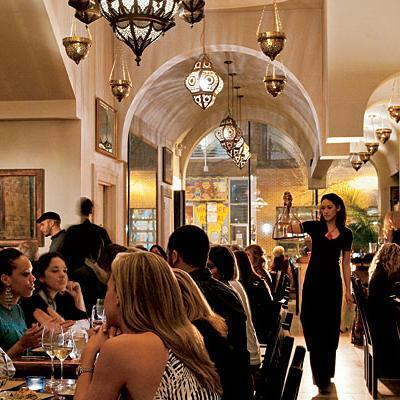 The good restaurants are those which have unique features about them. These unique features could be the specific types of foods they offer, such as Italian or Mexican. They could also be the uniforms that the employees wear or the fact that you can play arcade games while waiting for dinner. Uniqueness allows a restaurant to stand out from competitors. There is an abundance of restaurants out there all competing for your loyalty. Unfortunately, some of them aren’t even worth your money. By ensuring any potential restaurant you’re going to has the above features, you’ll be sure to enjoy your time out of the house and get your money’s worth. When you are craving delicious food, you can always count on a variety of choices. In particular, there is a pizza delivery kirkwood mo, that will fit your desires. In detail, food can be expensive but enjoyable if you choose the best location and the best quality in a restaurant. For the natives of Missouri, it’s easy to choose the best pizza restaurant. As a matter of fact, your guests will enjoy your choices and will love to come to your home gatherings because of your great taste in food. Hypothetically, you have to ensure that the restaurant that you choose will be one that has a high grading average and doesn’t have any bad reports. For this reason, it’s good to look up information regarding the restaurant of your choice to prove that Missouri restaurants take care of all of their customer’s needs. Specifically, pizza restaurants in Missouri are in the highest regards with the local and city food safety departments. In other words, you won’t ever have to worry about getting your hands on old or distasteful pizza. In detail, Pizza has to made with specific ingredients that a customer has requested. In some instances, pizza is made organically as soon as you order it. If there is ever an issue with your food order, your restaurant choice should always accommodate you by making your food over again. In Missouri restaurants, your order is heard exactly the way it is expressed to the employee. In turn, you will get the freshest food that money can buy. On the Internet, you can read about pizza and its ingredients. When choosing a restaurant to make your pizza in Missouri, it’s best to choose employees who are willing to help you with your order without having a negative attitude. In fact, it’s a guarantee that you will never experience an issue with an employee. That’s the beauty of being able to enjoy pizza in Missouri along with employees with smiling faces. On special occasions, there are grand openings centered around Missouri pizza that allows you to taste different styles of pizza. If you ever catch one of those moments in Missouri, that would be the time to ask any questions and concerns about what you have tasted. For more information, you can look up pizza and Missouri. In conclusion, the best pizza and joyous times are waiting for you in Missouri. Along with great customer service, you will have a choice of a mixture of veggies, meats, and cheese that satisfy you all day long. When traveling around the United States, it’s always important to see what Missouri is like. In the end, you will be glad that you chose to stop in and try the best pizza in the world. Running a business sounds like an easy, streamlined process, and it can be, but in reality, it is often harder than we think. There are lots of moving parts to a business, from the legal structure, to individual marketing teams, to ROI, cash flow statements, and on and on. This is one of the main reasons why people get discouraged from ever starting their own businesses. They believe they need to have all the answers before they start, not knowing that the answers will come after you question each step of the way. In this article, we will discuss promotion management and how it impacts businesses across all sectors. Marketing and management are probably at the top of the list when it comes to business protocol. Marketing is what keeps your customers coming, and your pipeline full. If your pipeline is not full, you will be struggling with money (cash flow) and your business will slowly die. On the other hand, management must set the processes in place so that the marketing is in line with goals, budgets, and staff. Promotion management also includes public relations and the way in which a business keeps track of its customers, i.e. CRMs (customer relations management). Different businesses require different kinds of marketing, have different customers, must meet different goals, and track their KPIs (key performance indicators) separately. Some agencies may have white label programs where a customer purchases their software to sell to other people at the price that they want, while the agency only collects one payment from the original buyer. Other businesses involved in agriculture, per say, care more about customer loyalty than how much they are spending on advertisement because these customers tend to shop on a reasoned basis. And finally, you will have to consider the types of sweepstakes management promotions you will need to manage. These include promotions based on buyer behavior, reminders and timely promotions, persuasive promotions, and the typical informative promotions leading the buyer to something else. You see these types of information promotions on the internet all of the time when a website gives you a free PDF in return for your name and email address. In conclusion, promotion management is really just a way to keep track of all of your marketing efforts when running a business. These include advertisements, CRMs, market analysis, customer profiles, and the cycle of your products and services. The life cycle of a product will determine how long you must wait for the customer to buy again which will determine how often you need to bring in a new customer to substitute the old one. We hope this article helps you run your business more efficiently today.